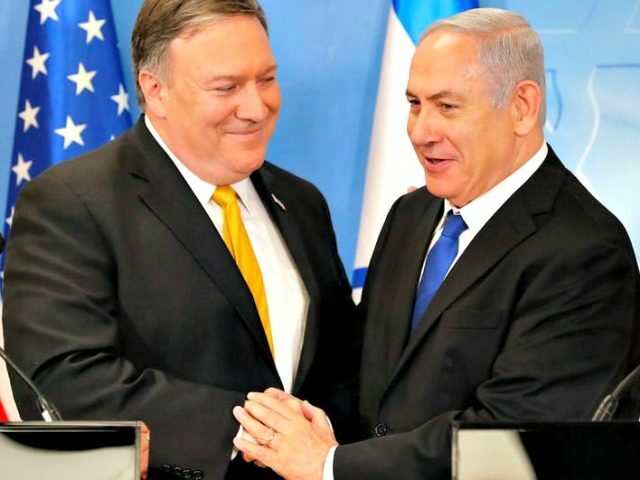 The Times of Israel reports: US Secretary of State Mike Pompeo on Tuesday assured Prime Minister Benjamin Netanyahu that the planned withdrawal of US ground forces from Syria will not alter Washington’s commitment to countering Iranian aggression and maintaining Israel’s security. Pompeo met Netanyahu in Brazil where the Israeli prime minister is on an official visit, and both men were to attend the inauguration of Brazilian President Jair Bolsonaro. “The decision by the president on Syria in no way changes anything that this administration is working on alongside Israel,” Pompeo said at a joint press conference with Netanyahu before they held talks.